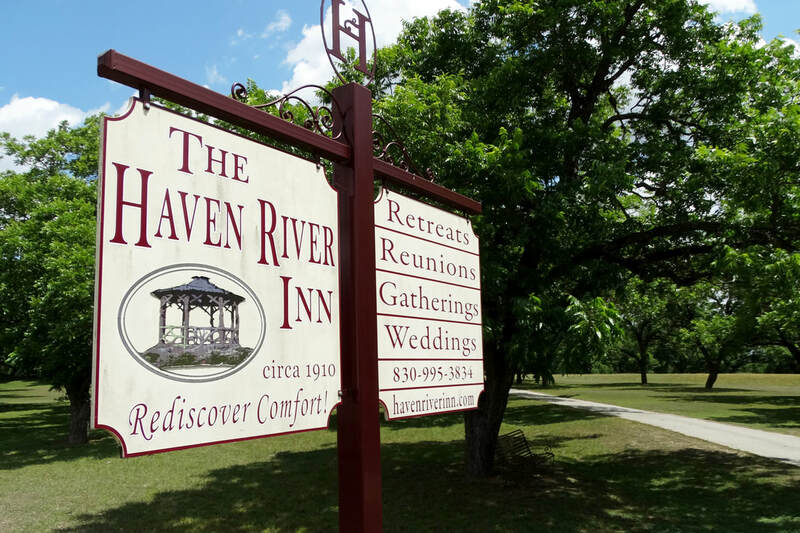 Resting on 23 acres, the Haven provides a quiet place for your group to unplug and focus. 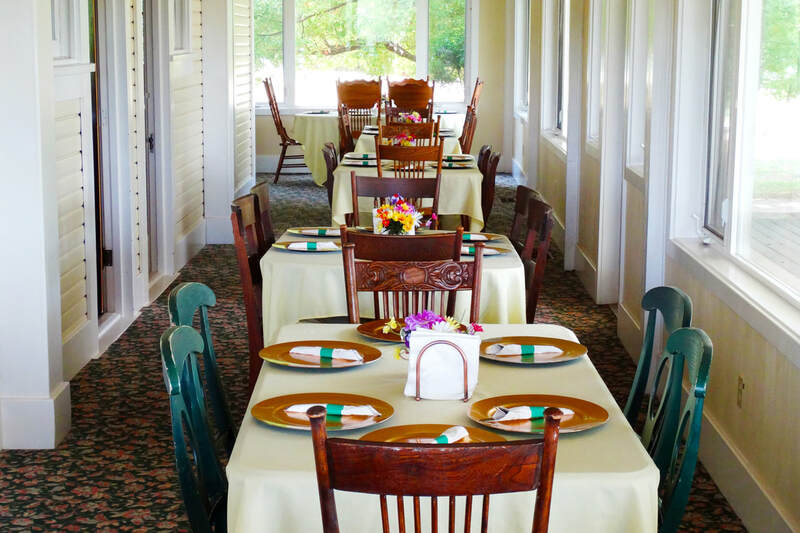 With the ability to lodge up to 50 guests and cater to your needs, our inn can make your next business conference easy and enjoyable. 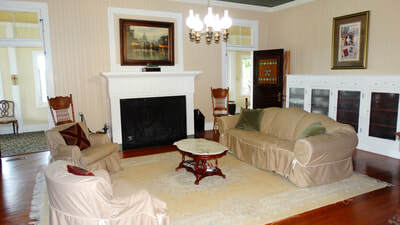 The Haven offers two conference rooms in the Main House, one on the first floor and one on the third. 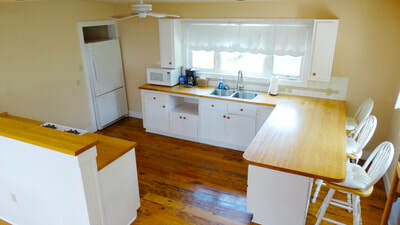 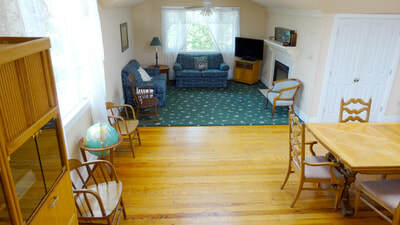 The first floor features a large room with the flexibility of different seating arrangements, while the third floor features a medium size room with access to a small kitchen. 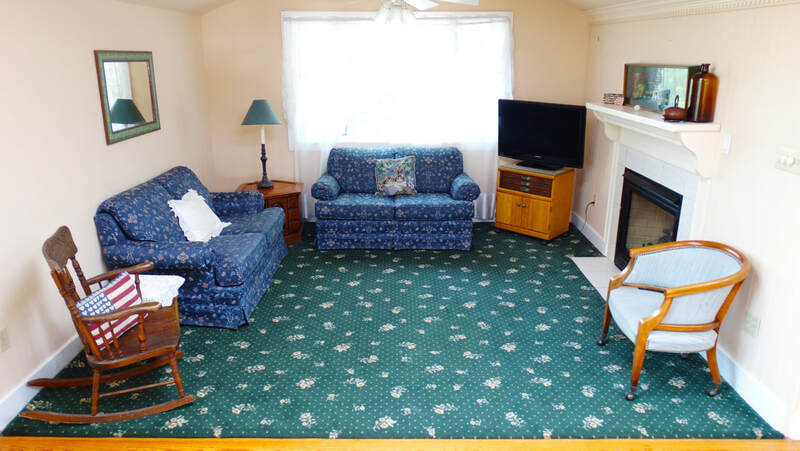 Our homey, spacious cottages also provide a perfect location for smaller group meetings. 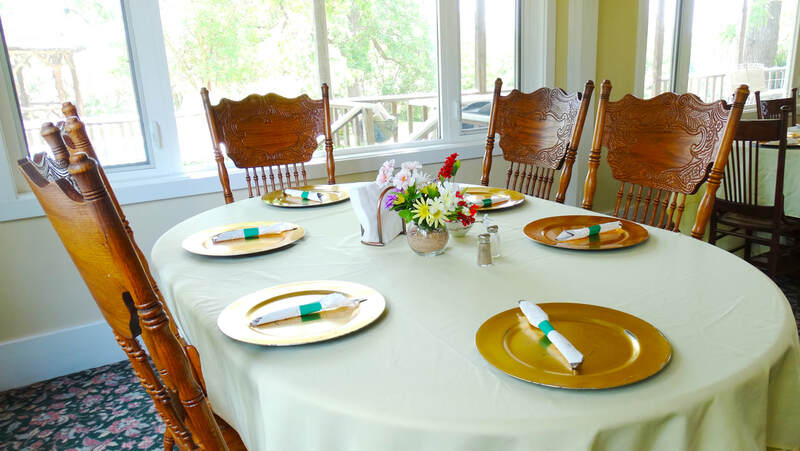 Wondering what to do for meals? The Haven River Inn provides a full hot breakfast with your stay at no extra cost. We also offer catered lunches and dinners cooked by our chef, William Gardner. 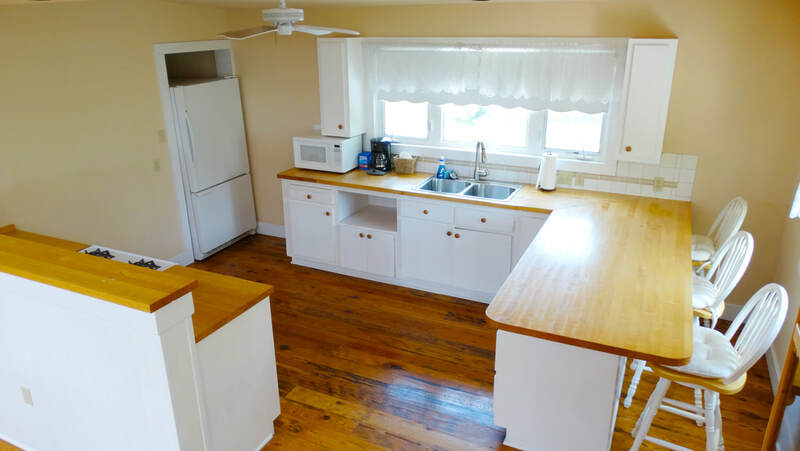 Click below to see our full menu!